I want to thank you for teaching us so many things in these few days. Thank you so much for receiving us with much love, and for sharing with everybody all about the cinema: this is friendship and cinema together. A big hug from Spain for everyone, for those who have organized Camera Zizanio y for those who have participated at the Festival. Muchas gracias por enseñarnos tanto en tan poco tiempo, por recibirnos con tanto cariño, por reunirnos junto a otros amigos a los que nos une el cine. Un abrazo muy fuerte desde España para todos los que habéis organizado Camara Zianio y para todos los que habéis participado en el Festival. 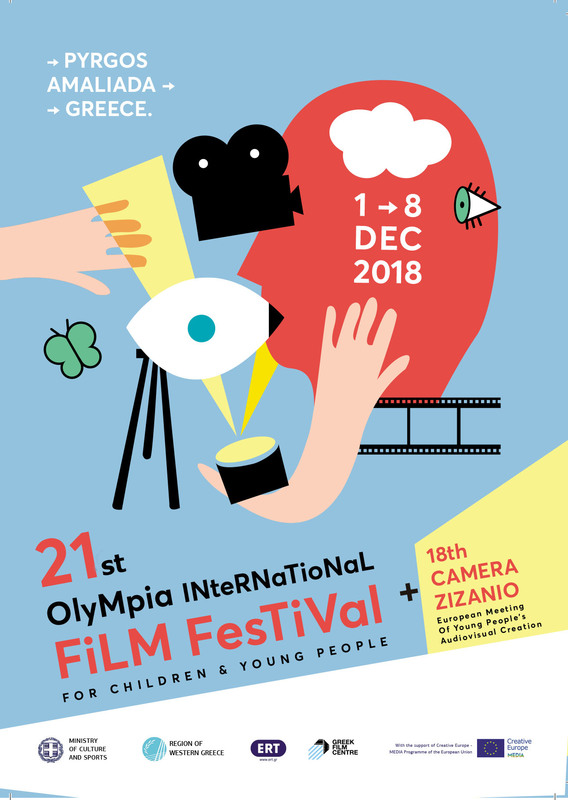 This year’s Festival (13th Olympia International Film Festival for Children and Young People and 10th Camera Zizanio) was completed with great success and left us a sweet taste. We believe we have taken one more step forward. As you may already know, the festival was organized under very difficult economical situation. Fewer people with less means worked hard to reach this positive result. And we managed this because we have the support and assistance of many people. Those who helped us by working voluntarily for many hours. Those who carried our message in any way (with images and sounds) to the ends of the earth. Ties of friendship became even stronger, so now we can say that we are one big family. A family that spreads out from Canada to Korea, from Finland to Africa, large cities and small villages. We wish everyone to enjoy the holidays and new year to find us stronger in order to conquer new peaks.